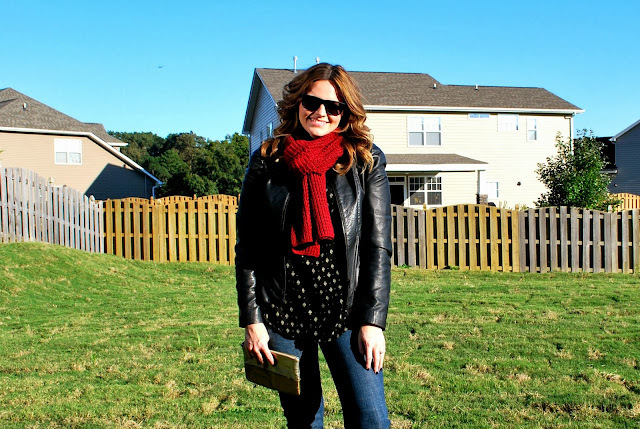 After a month hiatus, I'm back with a Style Statement post! In case you're unaware, a Style Statement is phrase you choose to define your style. I've chosen "Classic Casual" as mine. It makes getting dressed and buying clothes so much easier. To learn more, you can click here. This look is the kind I intend to sport all autumn long. I'm loving layers and mixing textures, like with this leather jacket and scarf. 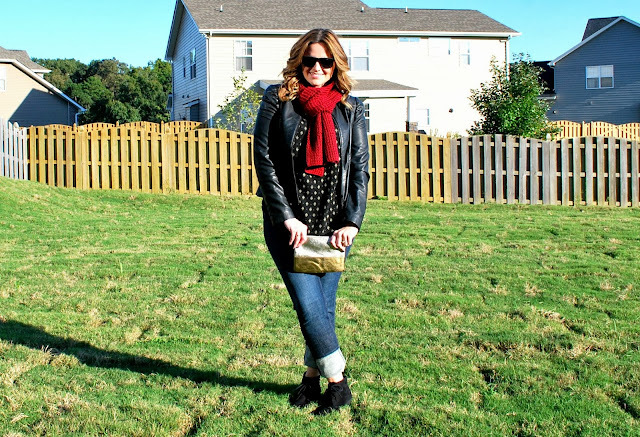 It fits my "Classic Casual" Style Statement, and it's perfect for staying warm on cool fall days! 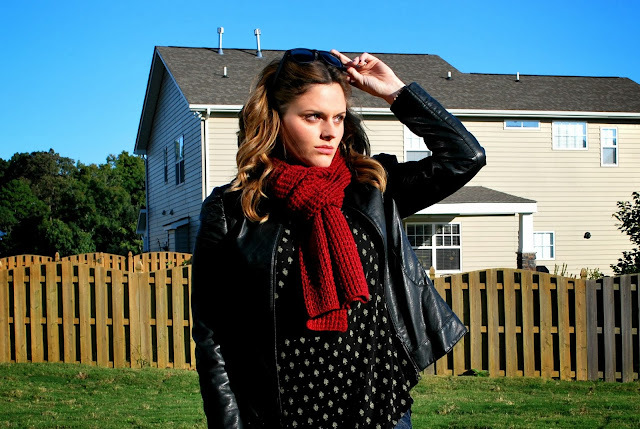 I'm linking up for Style Sessions, Trend Spin, and What I Wore Wednesday. That scarf looks so snuggly! Love your entire outfit!! Gorgeous!! Would love for you to come check out my blog too when you get a chance!! I love your style Jessica!! I really need a leather jacket! love this! 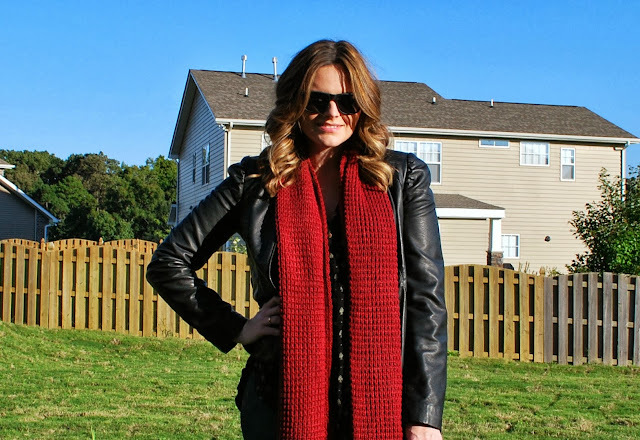 Loving that scarf with the fun patterned shirt and booties! Such a cute way to wear your leather. I love the red scarf with the polka dots! So fun!